You can check out Atom in action, below. As you can see, Atom is definitely a unique fighter. In addition to being able to change size and dodge nearly everything thrown at him, he can also freeze opponents in place. I’m sure Atom must have some downsides, but, based on this trailer, he looks kind of hilariously OP. Like, did you catch the bit where he makes Bane punch himself in his own face? This character is going to be a nightmare to play against. 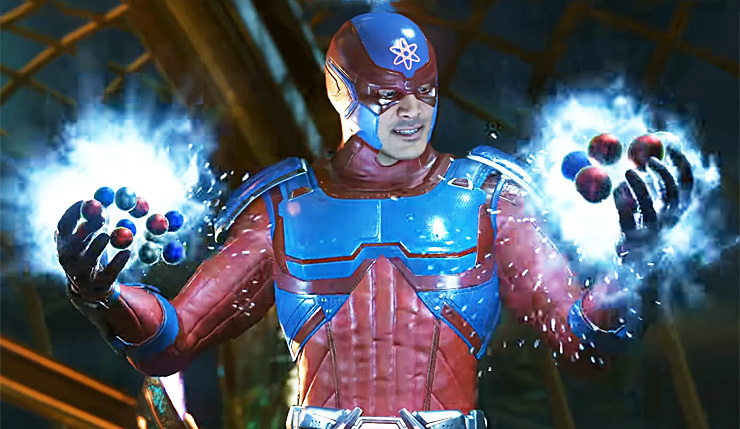 Atom will be the first Injustice 2 Fighter Pack 3 character released. Fighter Pack 3 also includes the villainous Enchantress, and the Teenage Mutant Ninja Turtles. No, really. Watch the Fighter Pack 3 reveal trailer, below. You can get your hands on Atom by purchasing Fighter Pack 3 for $15, or the Injustice 2 Ultimate Pack, which includes Fighter Pack 1, 2, and 3 for $40. Fighter Pack 1 includes Red Hood, Starfire, and Sub-Zero, and Fighter Pack 2 features Black Manta, Raiden, and Hellboy. Injustice 2 is currently available on PC, Xbox One, and PS4. Players will be able to download Atom on December 12.